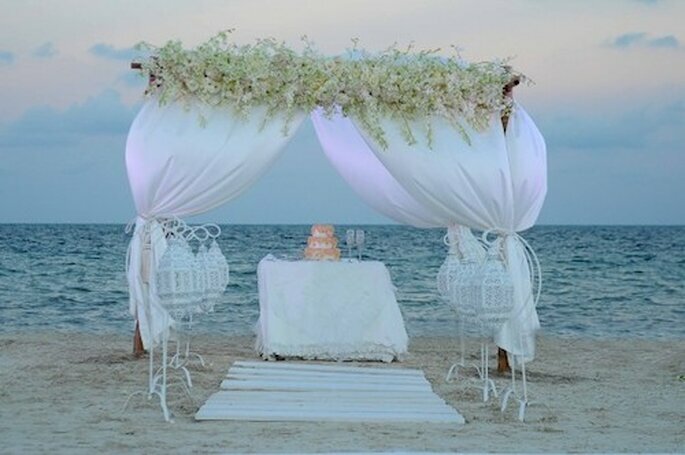 Thinking of planning a destination wedding in Mexico. 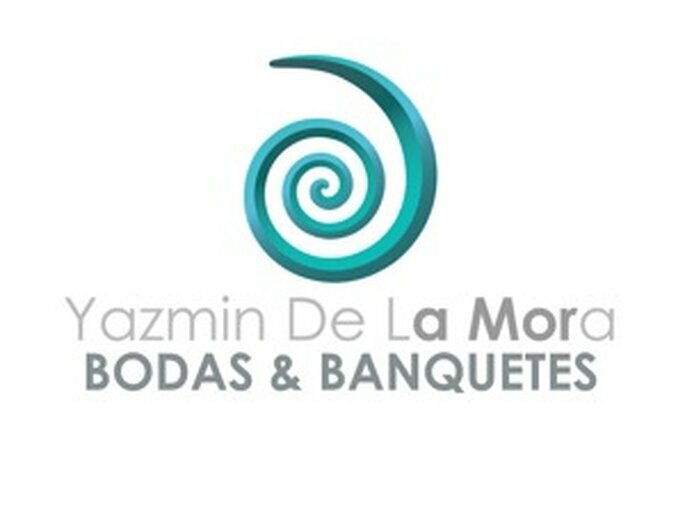 If so, check out the work of wedding planner Yazmin de la Mora. Her company gives a full wedding planning service, from finding your venue to designing the flowers. 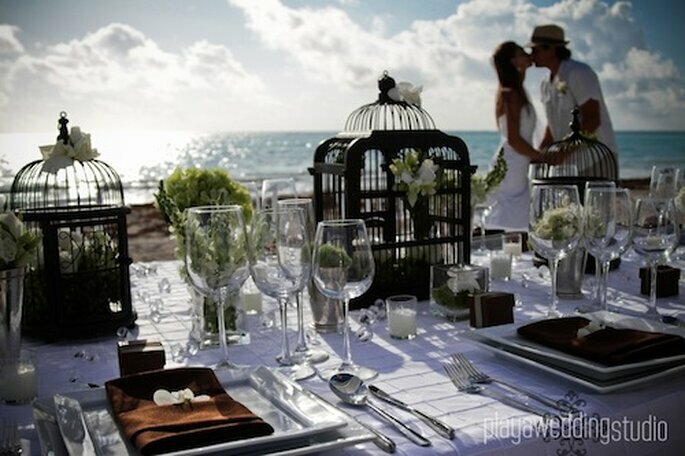 For all your destination wedding needs in Mexico, check her out! “Experience and a passion for detail” – the essential phrase to define the work of Mexican wedding planner Yazmin de la Mora. Yazmin de la Mora’s expertise and knowledge show in her exclusive and luxurious work and her sole aim is to ensure you enjoy your dream wedding, which thanks to Yazmin and her team, will go perfectly! 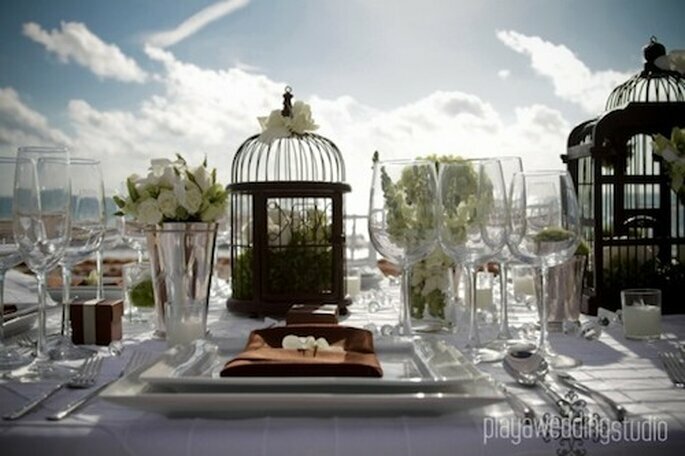 With more than 23 years of experience in food & beverages, hotels and event planning and one of Mexico’s wedding planning pioneers, Yazmin de la Mora has created a unique product in the destination wedding industyr. Thanks to her experience, her company has provided couples with top quality comprehensive services, which are aimed at creating happy and satisfied brides and grooms. The high quality service is based on wedding consultancy, planning and coordination, receptions (food and beverages) and decoration. This comprehensive service means Yazmin de la Mora can provide you a full wedding planning service and the team has considerable experience in all these areas. So you just need to worry about booking the flights, right? Yazmin de la Mora has excellent conections with the very best Mexican suppliers, but working with an extensive team in-house also means the company can provide you with the best service not only in terms of quality but also in terms of price. The company does not provide packages but rather works with a series of initial ideas that are tailored to the clients, location and budget for the wedding. 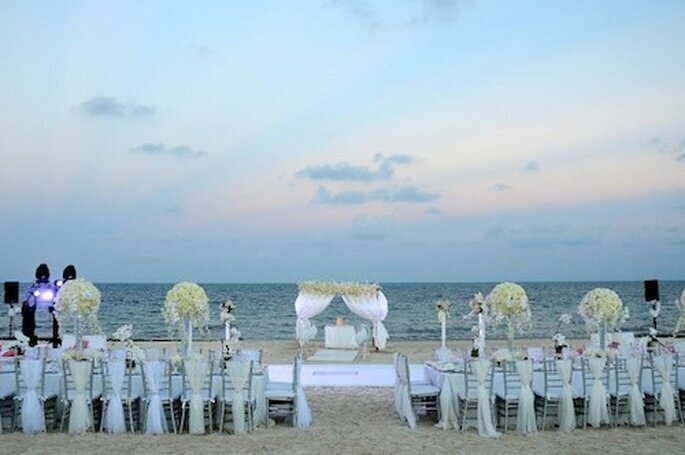 As for location, the company will help you choose the perfect setting for your big day, whether you can visit Mexico before the big day or not. Yazmin de la Mora’s most frequently used venues in 2013 were: Secret Jewel (Playa del Secreto), Hotel Hacienda Tres Ríos (Riviera Maya/Playa del Carmen); boutique hotels Le Reve (Playa Xcalacoco in Playa del Carmen), Hotel Playa Palms and The Palms (Playa del Carmen) and Xcaret. So, if you want to enjoy a unique event which will not only reflect your personality but also that of the destination you’ve chosen, contact Yazmin de la Mora on the details below to find out more about her passion for detail and experience. We’re sure you won’t be sorry.